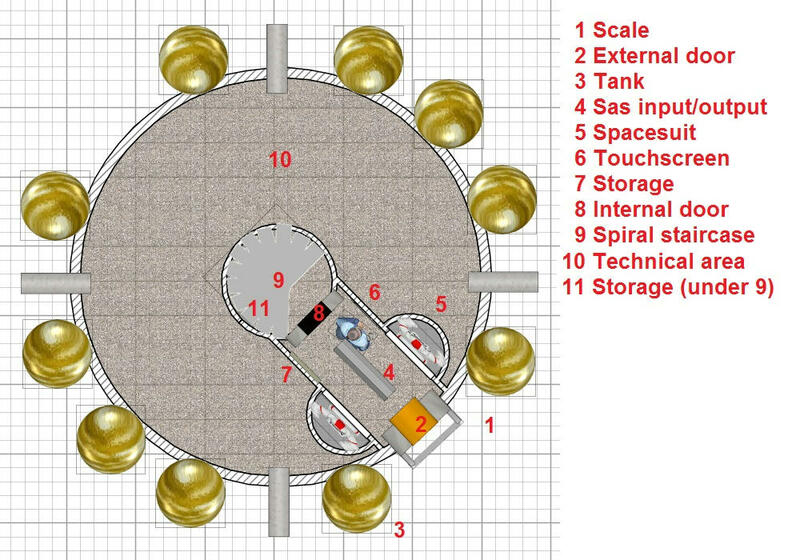 SOL 213 (new view) : Rover port with new habitation module. New configuration = new plan. 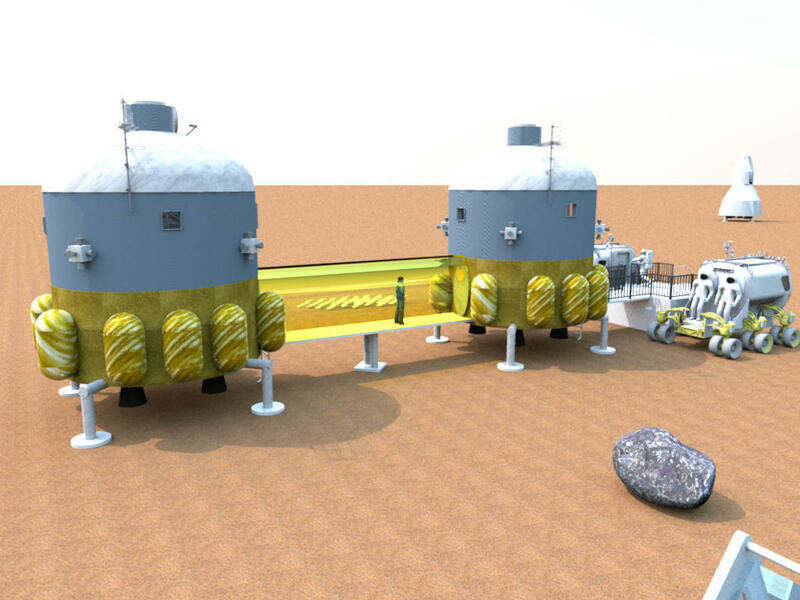 Here a view of the material module. 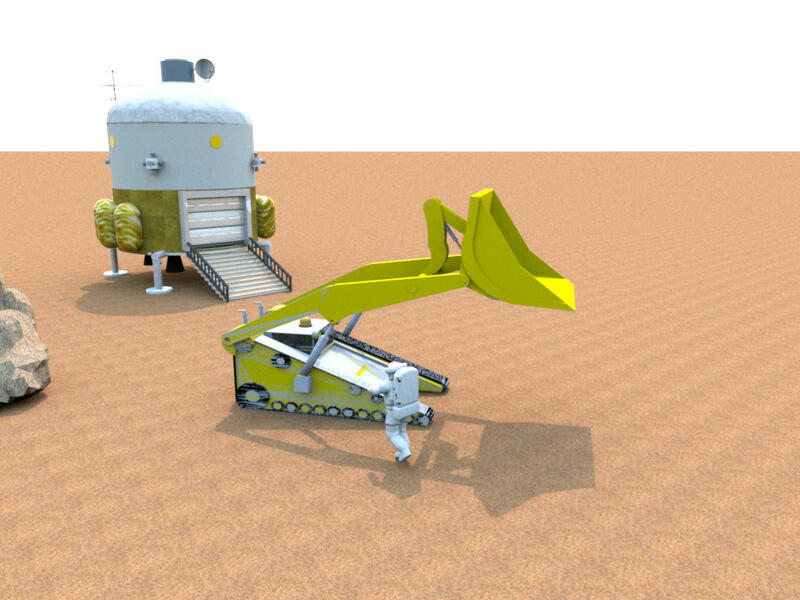 It contained the 'marsmoving' machine (yellow) and dismantled rovers. 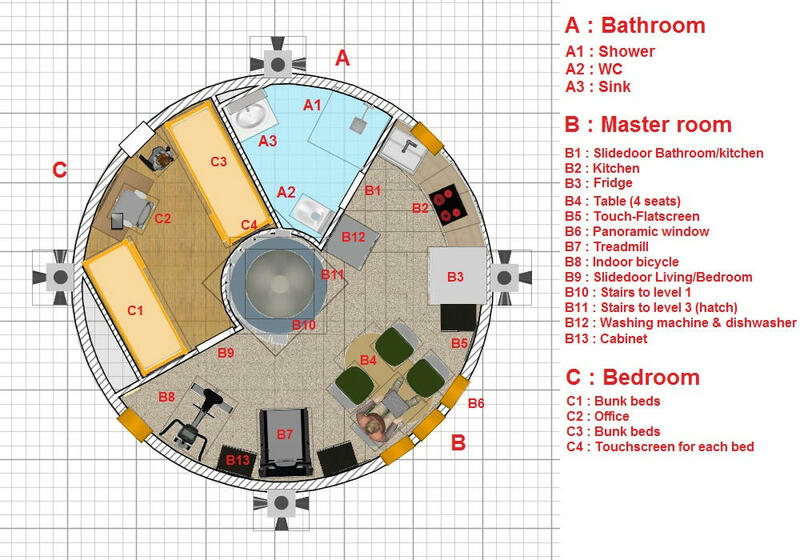 Here is my vision of the interior of the habitation module. 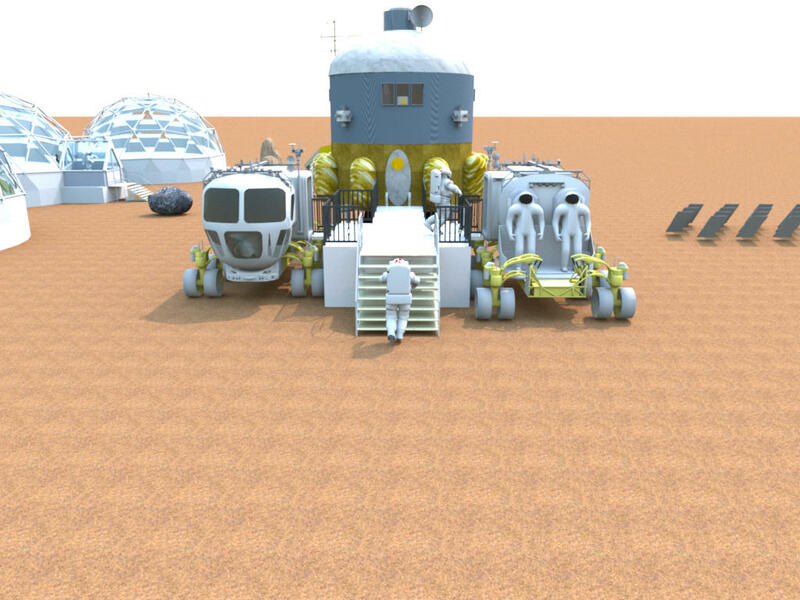 With the arrival of the 3rd crew, there should be a new habitation module. He had arrived three days earlier. He had landed beside the first and the glass walkway connected them: no need spacesuit. 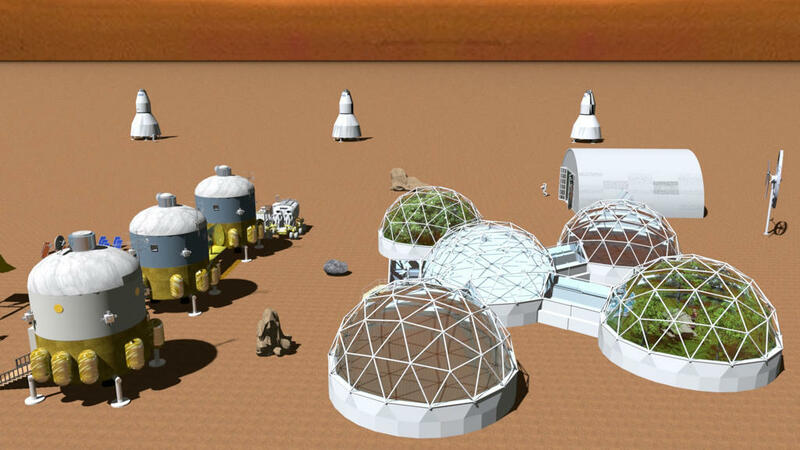 General view of Mars One base camp. The season ends and another will begin. This was very good idea and really great renderings. Good job man. I am proud of you. Proud too for you, bdfd! 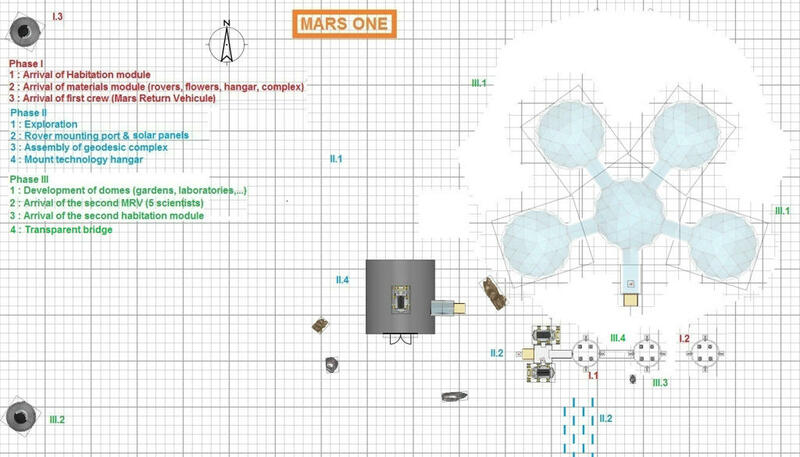 I definitely like this Mars station. I suggest you should try to match them with the medieval castle. A sort of spatio-temporal meeting, very inspiring! And Boooom, SH3D crashes !